Vaido (Võrumaa, Estonia) on 11 July 2014 in Plant & Nature. wonderful! 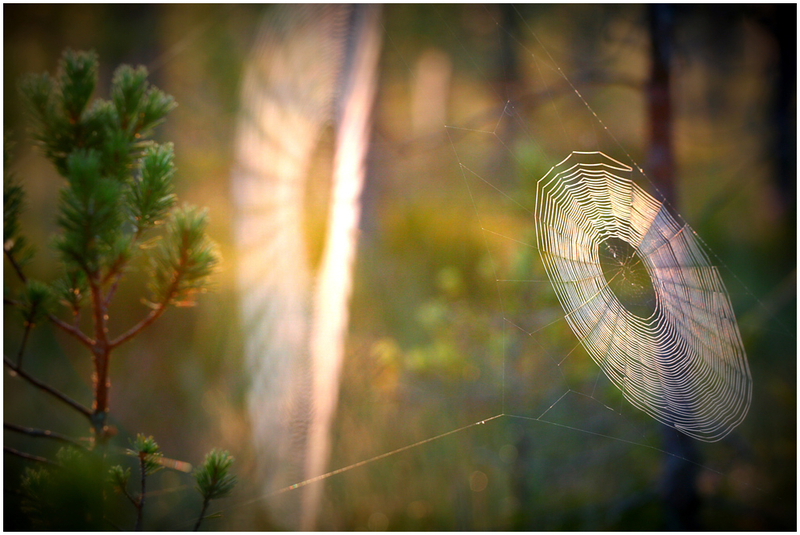 the spiderwebs are magnificent and you sued the light very well! What is that light on the background ? @Photo Attraction: Thank you... It just early morning sunshine shining on webs. A fantastic image of the web. Very nice ! Congratulations to the Spotlight ! Very nice. Congratulations on Spotlight. Splendid image ... the colors and light are wonderful !!! Congratulations on the Spotlight !!! Splendid scene with superb light ! Nicely composed. Congrats on the Spotlight !! Gorgeous light and color. This is absolutely beautiful! Congratulations on the Spotlight!